Originally developed in the early 1920s to accompany silent movies and provide mood music and sound effects, the organs were found in nearly every major theatre of the day. These organs were able to replace the large and costly orchestras originally used by theatres, and were sometimes called a “unit orchestra” with Wurlitzer being the most common make. By 1930 the advent of “talkies” made the use of organs redundant in their original form. 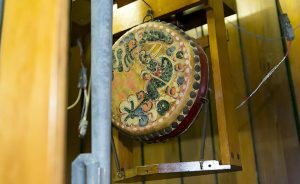 However, theatre owners found that their patrons were attached to the organs and their music was used as entertainment at interval and bracketing the movie shows as a form of mini-concert. Theatre pipe organs are different to church or classical organs in two main areas: they have tremulants in all ranks of pipes; they use a full range of percussion instruments and sound effects. The tremulants provide that mellow, sobbing effect to the pipes, similar to the vibrato of the human voice. 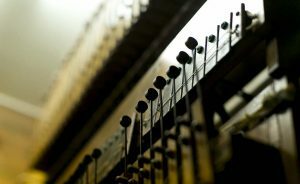 Theatre organs use actual percussion instruments, such as drums, cymbals, xylophone, glockenspiel, chimes, castanets, sirens, bird whistles. 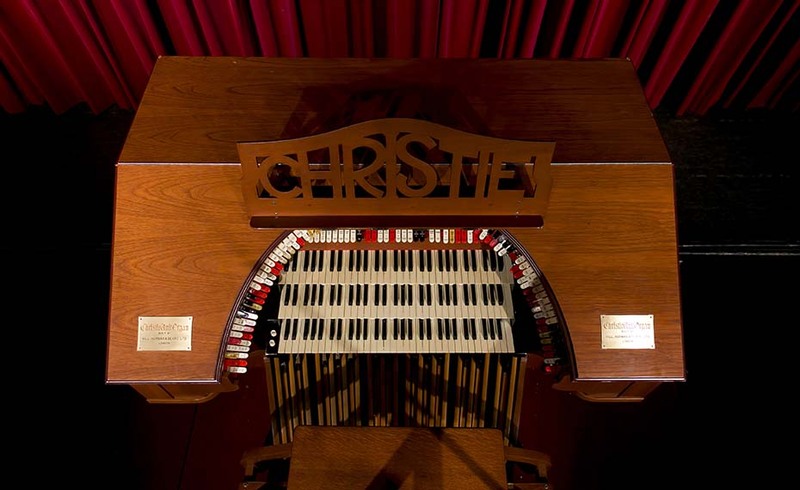 Affectionately known as “The Christie”, a 1934-vintage 11 rank cinema pipe organ manufactured by the Hill Norman and Beard Pipe Organ Company (approx. 1000 pipes) brought to Brisbane in 1969 from the Granada Theatre, Maidstone, England and now installed in the Kelvin Grove State College Theatre. These musical giants, as much orchestra as organ and entirely mechanical including percussion and a sound effects suite, roared into picture theatres across the world. They allowed one skilled musician to conjure up a symphony of sound and provide every necessary musical impression for breathing life into silent films and the popular music of the day. The Christie, England’s answer to the marvellous American Wurlitzer, provided luxurious 1930’s cinemas with their own sophisticated musical identity after the silent era ended. The original console was destroyed in a flood in the theatre before TOSA purchased it, and a two manual Christie console was sourced from New Zealand and enlarged. 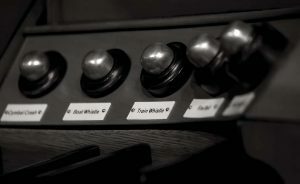 The organ arrived in Brisbane in 1969 and the society’s members spent several years painstakingly going through every rank, wind chest, relay, the wiring and wind supply before the organ was installed in the new auditorium at Kelvin Grove in 1973. The pipes and associated effects are located in two chambers (solo and main) on each side of the stage, giving excellent stereo acoustics. The console is on an electric hoist in the centre front of stage. After the inaugural concert in 1975 with Tony Fenelon at the console, the Christie was used regularly for the next two decades. By 1998, the console was showing signs of age and it was decided to completely rebuild it with a new polished timber console to house the modern electronics and capture system. The result was a totally new look with excellent controls to make this Christie cinema pipe organ one of the best of its type in the world. As well as the many ranks (or sets of pipes), the Christie has a complete set of percussion instruments and sound effects – something that sets cinema organs apart from classical or church pipe organs. You will find in the solo chamber, drums, xylophone, glockenspiel, castanets, tambourine, bells, as well as a siren, car horn, surf, thunder and other sound effects all played by the organist from the console. Click to view a tab layout of the Christie. Click to view the Christie stop and chamber specifications. Click here for links to other organ and theatre societies.